Exercise-first, where you first select the exercises (or exercise protocols) that you want to assign to a client. 1. Go to Clients and select your client, or add a new client. 2. Open the client, and click on Assign new program to open the program editor. 3. Add exercises to the program, and click on Assign when you have fully created the program. 1. Go to Library > Exercises and select the exercises that you want to use in the program. You can also select and combine existing exercise programs for inclusion in your new program. 2. Click on the shopping basket icon (see below) to open the program editor. The counter shows the number of unique exercises in an exercise program. 3. Edit the program as you see fit. 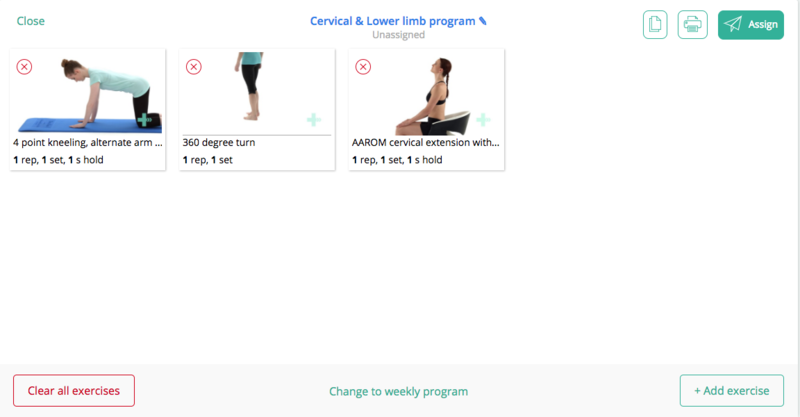 You can add exercises, change the parameters for the exercise and convert your program to a weekly program if you wish. (Update exercise parameters and additional instructions here. Not sure how, read our help article). 4. When you have completed editing the program, tap the Assign button in the top right corner. 5. 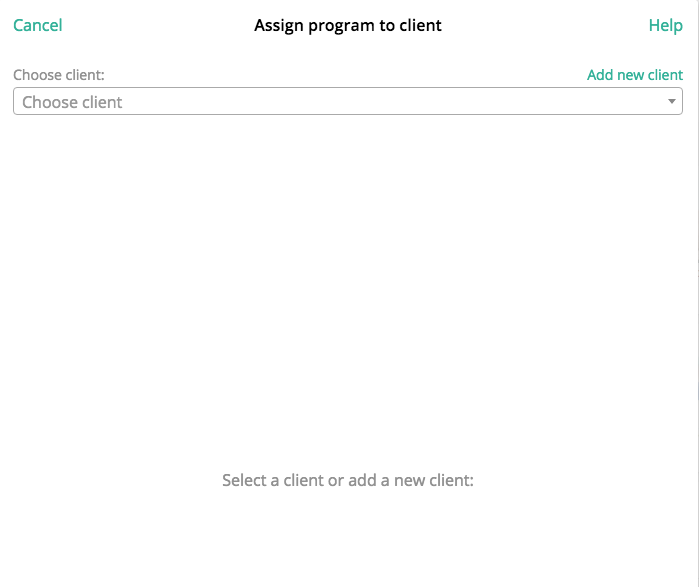 Select a client to assign the exercise program to or Add new client. 6. 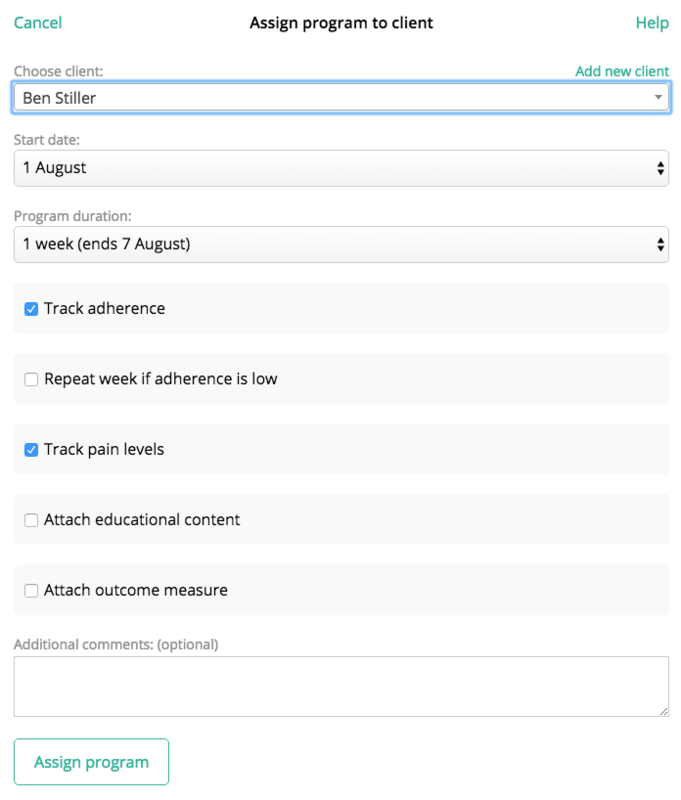 Select which outcomes you want to track (adherence, pain levels), attach educational content and/or attach an outcome measure. 7. Click on Assign program to generate the 8 letter access code. If you have provided an email address for your client, the access code will automatically be sent. 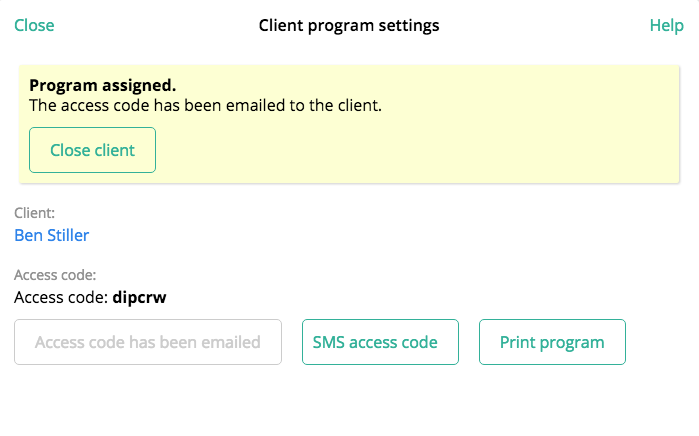 The client now receives an email with their unique access code to access their program. The welcome email also contains links to the App Store (iOS) and Google Play (Android) to download the PhysiApp client app for free. Clients can also access their program via http://www.physiapp.com.